Focused on the condition of our globe and the condition of man, Marcin Owczarek is a Polish-born and Belgium-based artist who uses photography and collage to create surreal images that are thematically oriented towards identity, dreams, new technologies, bio-science, the unconscious, morals, social situations, behaviors, habits, rituals, biological changes, depression in urban environments- which have significant impact on human life. Based on observation and documentation, his work depicts the image of the 21 century and the image of our current society filled with allusions, metaphors, and allegories. A conceptual sketch which is very deliberate always comes prior to starting new work. The universe he creates and the reflection he wants to transmit must be shaped in a perfect manner. Never using particular characters accidentally, he rather employs them (animals, for example) as symbols or allegories, so they can reflect human’s virtues or imperfections. In many of his works, birds are present since they symbolize the human soul trapped in the mortal body. The kind of photography Owczarek presents might be called ‘digital manipulation’ but he prefers to call it ‘digital collage’. In his case, the essential part is to travel a lot, which provides thousands of photographs he will later use in his works, but also to remain constantly inspired. In the past, he was sometimes forced to use stock images, but these days, most of his artworks are created exclusively from his own photographs. There is no place for accidents in his art – images are deliberated and there are no accidental elements. If he uses monuments or buildings, these elements have historical or symbolic connotations. In formal and stylistic aspects, his work resembles the art of Dadaism and Surrealism. 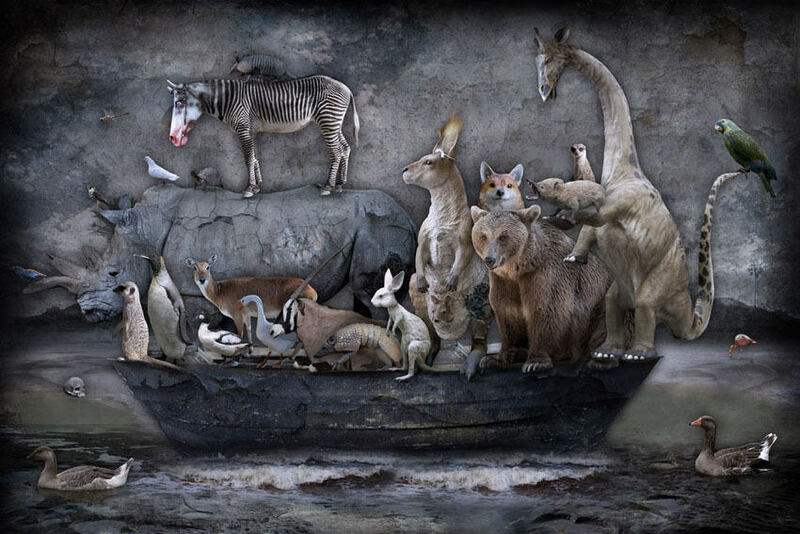 Owczarek admits this is true, but emphasizes the reason behind such comparisons – collage. He chose this particular method because he treats his images as an amalgamation between past, present and the future times. By using it, he’s able to connect many complicated elements, many reflections and shape them in one coherent universe. So his style has developed from the paper collages, through painting and photography, up to new mixed-media art which he presents right now. Creation of an idea (significant reflection) is the initial part of his work. Then he proceeds onto making a sketch of the potential piece he wants to generate. Meanwhile, he reads a lot, especially anthropology, philosophy, and sociology, trying to collect as much information describing the problem he’s working on. Simultaneously, he also creates more sketches. Upon reaching an impression that he has investigated the subject sufficiently, Owczarek combines all the sketches he did into a coherent one. The computer is used to flesh out the final sketch before moving on to the final point – creation of digital collages. He pays a huge attention to details since he wants his images to be shaped in the perfect possible way. Because of this perfectionism, it takes him many weeks to achieve the final look. 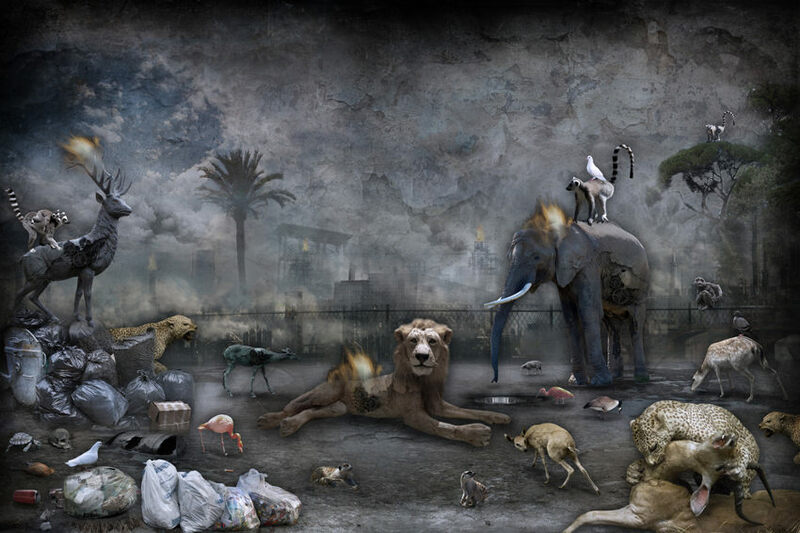 Most of his themes focus on consumption, globalization, intellectual conformity, corruption, new technologies, bio-science, biological changes, the use of animals, depression in urban environments, destruction of the soil, overpopulation, deforestation – so yes, Owczarek’s art is destined to convey the specific message(s). In this way, his creations are also politically involved, because most of the aspects mentioned above rose from incorrect political decisions. The artist thinks that most of his audience perceives his imagery in this way – as a commentary on the present world and anticipation of the future. He simply can’t accept the path the present world is currently on, describing this nonconformist point of view through his art. As far as he remembers, Owczarek didn’t start from photography and has never officially decided to become a photographer. His love for art was revealed approximately at the age of seventeen when he created his first work titled Requiem. Since that moment, he’s been trying to find the best medium to express himself. At first, he used scissors, glue, and paper, but it was simply not enough. The possibilities of creation were too narrow for him until he discovered photography and Photoshop. Subsequently, he connected his collages and photography. At the age of twenty, he began studying photography at The College of Photography in Wroclaw, Poland, where he graduated in 2008 with the cycle ‘Brave New World’. Afterward, he used to study at the University of Anthropology also in Wroclaw. Anthropology gave him erudite knowledge of the other cultures: mythologies, beliefs, rituals of ethnic groups, ethnic art – from the ‘primitive’ tribes to western societies. Now, he’s able to compare the various and unusual activities of human beings and flourish his imagination. 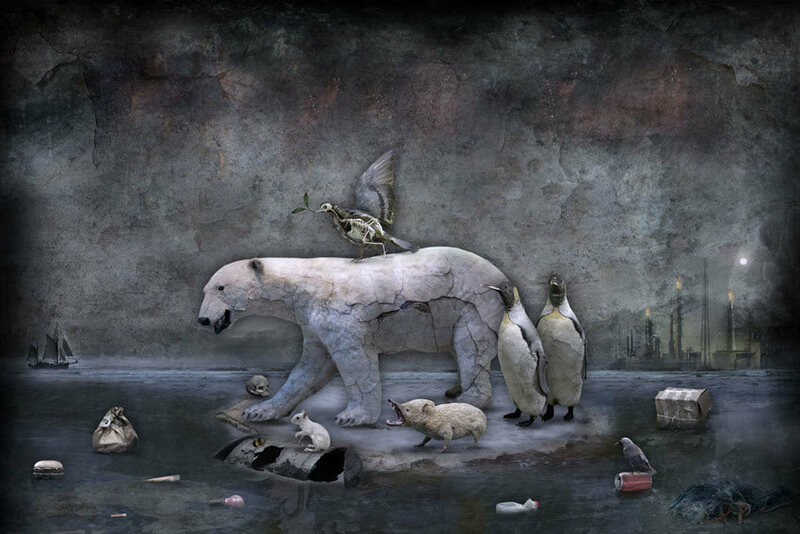 Based in Belgium, Marcin Owczarek married a fellow artist Katarzyna and formed both personal and professional partnership. 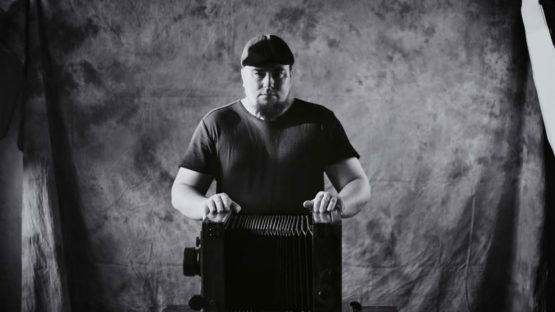 They started working together in 2015, first with analog wet plate collodion photography, and in 2016, they’ve decided to broaden their creation with digital photography. Marcin Owczarek lives and works in Belgium.